“Exploring Chalcolithic diet and mobility of humans and animals from Perdigões site”, by Indre Zalaite. It was presented at University of Évora, in ARCHMAT program (ERASMUS MUNDUS MASTER IN ARCHaeological MATerials Science) and was also part of the project on mobility at Perdigões enclosures (see here) approved and financed by the Portuguese Science Foundation. 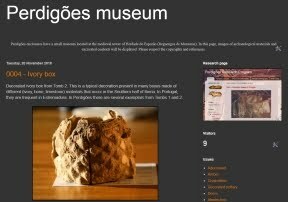 It is a first output of that project, which results will soon be published, product of the collaboration of the three institutions involved in the project integrated in the Global Program of Archaeological Research of Perdigões: ERA Arqueologia, Hércules Laboratory – Uévora and ICArEHB-UAlg. Center. Parabéns! À Indre e aos Perdigões, claro!